We could eat buckets of them (or so it seems)! Fresh raspberries, blackberries, blueberries and strawberries top the list, although there are other lesser-known choices too. If you are lucky enough to have a strawberry patch or raspberry, blackberry, or blueberry bush on your property, then you know first-hand the addictive deliciousness that can cause a person to stand over the plant and eat one after another with their berry-stained fingers like a ravenous animal. Oh how these plants had us at hello! So how to choose the best berries? If you cannot grow your own berries, purchase organic berries at your local grocer or farmer’s market. 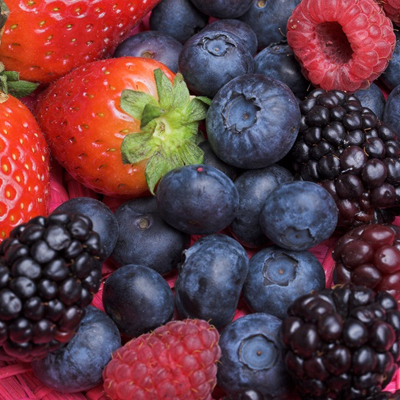 Berries are often on the “Top 10” lists of foods to purchase organic if at all possible. Look for firm, dry berries with even color and no mold or mushiness to them. Buying berries that are locally grown will often mean a fresher product (and a farmer you can get to know) while also supporting local farms. What about storing my berries? You mean they don’t disappear as soon as they enter your house? No worries, berry storage is easy, don’t wash until you are ready to eat them, keep them in the refrigerator, and try to eat them as soon after purchase as possible. For long-term thinkers, you can purchase extra berries when they are on sale or in end-of-season bulk amounts and wash & freeze them for winter use too. What can I make with my delicious berries? Besides eating them fresh out of a bowl, there are so many ways to eats berries in healthy recipes too – things like berry sorbet or fruit smoothies are great fun for kids to help make, layered berry salads, berry vinegars, berries can top cereal or yogurt, and the list goes on forever…one of our favorites during the heat of Summer is the Raspberry Chiller recipe below – oh what an icy treat on a hot day! Nice for picnics too. Enjoy the bountiful berries of Summer and get them fresh before they are all gone! Mix all ingredients in a blender, add more water or ice to get it to a slush-like consistency. 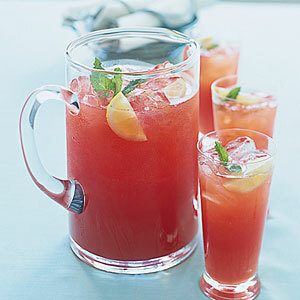 Put in a tall glass and garnish with a few raspberries and a mint leaf, enjoy!